Two of the world's premier genealogists, authors, and speakers - Tom Jones and John Philip Colletta - are speaking this Saturday, July 30, 2016 - and you can attend from home! Thanks to Tom, John, the Genealogical Council of Oregon, and Legacy Family Tree Webinars for making this happen. The classes will be presented to a live in-person audience at the Council's Summer Genealogy Fest in Eugene, Oregon and simultaneously broadcast to a live webinar audience. This webinar explains how a significant population of German-speakers came to reside in France and explores the peculiarities of researching ancestors of Alsace, Lorraine, and Elsass-Lothringen. It discusses when, why and how people from these areas came to the United States from the late eighteenth to the late nineteenth centuries. Research challenges include: records kept in French, German and Latin; shifting national borders; peculiar surnames; and Catholic, Protestant and Jewish residents. Indispensable Web sites are reviewed, as well as books and manuals, and the large body of microfilmed records available from the Family History Library in Salt Lake City. Webinar subscribers can also access the syllabus here. Attendees will learn strategies for overcoming research barriers caused by lost or destroyed records, poor record-keeping, or a simple lack of records. Registration for the webinars is free but space is limited to the first 1,000 people to join that day. Before joining, please visit www.java.com to ensure you have the latest version of Java which our webinar software requires. When you join, if you receive a message that the webinar is full, you know we've reached the 1,000 limit, so we invite you to view the recording which should be published to the webinar archives within an hour or two of the event's conclusion. Can't make it to the live webinar event? Today Dr. Colletta lectures nationally, teaches at local schools, and conducts programs for the Smithsonian Institution’s Resident Associate Program. He is a faculty member of the Institute of Genealogy and Historical Research at Samford University (Birmingham, Ala.), the Salt Lake Institute of Genealogy, and Boston University’s Certificate in Family History program. He has also been an instructor and course coordinator for the National Institute on Genealogical Research (Washington, DC), the Genealogical Institute of Texas (Dallas), and the Genealogical Institute of Mid-America (Springfield, Ill.). His publications include numerous articles, both scholarly and popular, two manuals — They Came in Ships: A Guide to Finding Your Immigrant Ancestor's Arrival Record and Finding Italian Roots: The Complete Guide for Americans — and one “murder-mystery-family-history,” Only a Few Bones: A True Account of the Rolling Fork Tragedy and Its Aftermath. It tells the story of Colletta’s great great grandfather, Joe Ring, who moved his family from Buffalo, New York, to Rolling Fork, Mississippi, after the Civil War. When Joe Ring’s country store burned to the ground with five unfortunate victims sleeping upstairs, the incident was investigated as mass murder, robbery and arson. Tom Jones is an award-winning genealogical researcher, writer, editor, and educator. He has co-edited the National Genealogical Society Quarterly since 2002, and he is the author of the textbook Mastering Genealogical Proof. He has been certified by the Board for Certification of Genealogists since 1994. A professor emeritus at Gallaudet University in Washington, D.C., Tom teaches genealogical research methods at week-long genealogy institutes. He speaks at national, regional, and local seminars in the United States and internationally, and he writes frequently on genealogical evidence, proof, and problem solving. "You think you know everything about genealogy, then along comes a webinar like today!!! Gena gave us a whole new look at where to find things about our families, especially women, and she does it so well. Thank you!!" The recording of today's webinar, "Researching Women: Community Cookbooks" by Gena Philibert-Ortega is now available to view for free for a limited time at www.FamilyTreeWebinars.com. If you could not make it to the live event or just want to watch it again, the 1 hour 35 minute recording of "Researching Women: Community Cookbooks" PLUS the after-webinar party is now available to view in our webinar library for free for a limited time. Or watch it at your convenience with an annual or monthly webinar membership. Most historical records have been created for and about men, making it more challenging to research and write about female ancestors. The Finding Your Female Ancestors Legacy QuickGuide™ contains useful information including best places to find maiden names, locate women’s history resources, and other key strategies for tracing your maternal lines. This handy 4-page PDF guide can be used on your computer or mobile device for anytime access. Join us and Gena Philibert-Ortega for the live webinar Wednesday, July 27, 2016 at 2pm Eastern U.S. Register today to reserve your virtual seat. Registration is free but space is limited to the first 1,000 people to join that day. Before joining, please visit www.java.com to ensure you have the latest version of Java which our webinar software requires. When you join, if you receive a message that the webinar is full, you know we've reached the 1,000 limit, so we invite you to view the recording which should be published to the webinar archives within an hour or two of the event's conclusion. Gena Philibert-Ortega holds a Master’s degree in Interdisciplinary Studies (Psychology and Women’s Studies) and a Master’s degree in Religion. Presenting on various subjects involving genealogy, women’s studies, and social history, Gena has spoken to groups throughout the United States as well as virtually to audiences worldwide. Gena is the author of hundreds of articles published in genealogy newsletters and magazines including FGS Forum, APG Quarterly, Internet Genealogy, Family Chronicle, Family Tree Magazine, GenWeekly and the WorldVitalRecords newsletter. Her writings can also be found on her blogs, Gena’s Genealogy and Food.Family.Ephemera. She is the author of the books, From The Family Kitchen (F + WMedia, 2012), Cemeteries of the Eastern Sierra (Arcadia Publishing, 2007) and Putting the Pieces Together. Gena is the editor of the Utah Genealogical Association’s journal Crossroads. An instructor for the National Institute for Genealogical Studies, Gena has written courses about social media and Google. She serves as a board member of the Utah Genealogical Association. Her current research interests include women’s social history, community cookbooks, signature quilts and researching women’s lives using material artifacts. Gena Philibert-Ortega is the author of IDG’s monthly column, Remember the Ladies: Researching Your Female Ancestor. The recording of today's webinar, "Windows 10 Survival Guide for Genealogists" by Thomas MacEntee is now available to view for free for a limited time at www.FamilyTreeWebinars.com. If you could not make it to the live event or just want to watch it again, the 1 hour 47 minute recording of "Windows 10 Survival Guide for Genealogists" is now available to view in our webinar library for free for a limited time. Or watch it at your convenience with an annual or monthly webinar membership. In general, most of my readers know that I don’t always follow “the latest big thing” when it comes to technology. My theory has always been: why should I be a bug fixer for Microsoft (or you can change it to Apple, HP, etc.)? I almost never upgrade or buy the “.0 version” of something. You won’t find me waiting in line outside the Apple store for the latest iPhone. I know that I can usually save money by staying at least one version back and waiting for the “.1 version” of something. However, with Windows 10, things are a bit different due to the way in which Microsoft is deploying the operating system and including a big financial incentive. When Windows 10 debuted in mid-2015, Microsoft announced that qualified users (those on Windows 7 and Windows 8) could receive Windows 10 for free. So, like me, you probably endured the constant notifications when you booted up each morning asking if you wanted to download and install Windows 10. And like me, you kept putting it off. Or perhaps, you clicked YES by mistake and you then had to deal with fixing lots of things. And now, Microsoft is enforcing its deadline of July 29, 2016, to get the free upgrade. After that date, you will need to pay $119 USD for the same upgrade. That’s why I wrote Windows 10 Survival Guide for Genealogists. I upgraded several of my devices starting in December 2015 and while I did lose access to some default settings, and I had to reinstall some software, it was not as bad an experience as I had heard others describe. However, the hours I spent “fixing” my system kept me from researching family history. So I’ve compiled a list of “annoyances” to check once the upgrade to Windows 10 is complete. In this guide I also offer advice on how to prepare for the upgrade, what to do if you don’t qualify for the free upgrade, and also why you might not want to even upgrade at all! I’ve pulled together a huge list of resources at the end of this guide, along with additional reading. This guide can’t possibly cover every possible upgrade situation or system configuration . . . as they say “Your mileage may vary.” But, at the very least, you’ll have the tools needed to find answers to your Windows 10 questions. Learn and benefit from my experiences in going through the Windows 10 upgrade! Description: This session will examine the rich history of the Great Lakes region, particularly its role in U.S. expansion through transportation, economic growth and defense. We will look at the geography of the Great Lakes and regional influences such as Native Americans in the area, commerce, and shipping routes. The program will examine routes into and out of the Great Lakes such as the Erie Canal and railroad lines, and the major ethnic groups that traveled through the region including immigrants from the British Isles, Germany, Scandinavia, Eastern Europe. The roles that the lakes played in war and defense during the “Sixty Years’ War” will be discussed. The session concludes with a survey of records useful for tracing Great Lakes ancestors including census, naturalization, homestead, passenger lists, and border crossings records. Presenter: Cari Taplin, CG, is related to Roy Rogers. Or at least the stories her grandparents told her as a child said so. As a result, she has been working on finding her true heritage since the year 2000. She is a native of Wood County, Ohio now living near Austin, Texas. The recording of today's webinar, "Organize Your Online Life" by Lisa Louise Cooke is now available to view for free for a limited time at www.FamilyTreeWebinars.com. If you could not make it to the live event or just want to watch it again, the 1 hour 47 minute recording of "Organize Your Online Life" PLUS the after-webinar party is now available to view in our webinar library for free for a limited time. Or watch it at your convenience with an annual or monthly webinar membership. Click here to purchase for 5.95. Windows 10 Survival Guide for Genealogists by Thomas MacEntee. July 22. 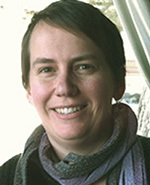 Last week's webinar, Special Delivery: Using US Postmaster Documents in Family History Research, presented by Jean Hibben, CG, is now available to ISGS members in the Members Section of the ISGS website (http://ilgensoc.org/members.php). For the first time, a comprehensive beginning Irish genealogy course is available online, worldwide, from the foremost Irish genealogy authority, John Grenham. He is the author of the definitive Irish genealogy guide Tracing Your Irish Ancestors. The six-class series introduces you to Irish genealogy and then progressively takes you through the major Irish records sources. Taught with humor and an authentic Irish accent, Grenham brings together Irish research in a way only the most knowledgeable Irish researcher can. He was Project Manager with the Irish Genealogical Project from 1991 to 1995 and later went on to develop and market his own genealogical software, 'Grenham’s Irish Recordfinder'. He ran the Irish Times/Irish Ancestors website from 1998 to 2016. It now runs on his own site. In 2005, he was the first Genealogist-in-Residence at Dublin City Library and Archive. He is responsible for developing most of the heritage databases ondatabases.dublincity.ie. All six of these new classes are bonus classes in the webinar library. They kick off theSummer Spectacular webinar series just for members. The webinar previews are always free for non-members to watch.